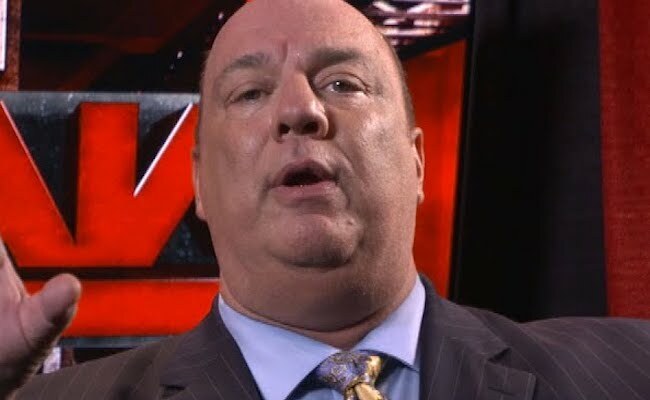 Paul Heyman recently took to Twitter in an effort to put Seth Rollins over. Paul Heyman’s advocate gave props to The Kingslayer fro stepping up to The Beast Incarnate on the January 28 edition of Monday Night Raw. Rollins took the fight to Lesnar that night, but immediately paid a heavy price for his bravery. Rollins received six F-5’s and was left flat on his back by the Universal champion. This was the first shot fired on both men’s way to WrestleMania 35. Rollins won the right to challenge for either the Universal or WWE Championship when he won the Men’s Royal Rumble Match on January 27. Seth chose the former and that means that he will wage war with The Conqueror on The Grandest Stage of Them All. Heyman’s complimentary words toward Rollins surely come as no surprise to many WWE fans, who have seen this exact situation play out many times before. Heyman pays respect to the man that challenges his client but in the end, Paul plots and schemes to help Lesnar keep both a physical, as well as a mental, advantage. However this time things may go a bit differently. After all, Seth is the hottest Superstar of the men’s division right now and he’s currently on top of Monday Night Raw. It could that he will indeed walk away from Maia as the new Universal champion.